Based on the ‘Prebisch–Singer’ hypothesis, a strand of literature has emerged that focuses on the phenomenon of commoditisation and ‘commodity traps’ in development. Following Kaplinsky (2006), we revisit the hypothesis on a country’s terms of trade in manufacturing exports and imports. 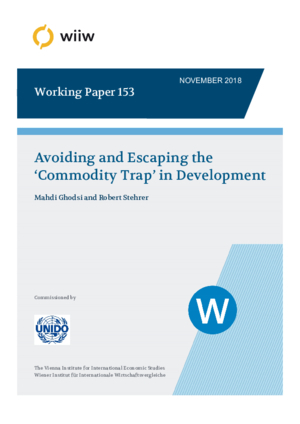 Offering high-quality products and targeting ‘niche’ markets in high-income countries are beneficial strategies for developing countries to improve their terms of trade and to escape a potential ‘commodity trap’. Barriers to entry via standards in the importing countries might even support such strategies. Non-tariff measures (NTMs) such as technical barriers to trade (TBTs) and sanitary and phytosanitary measures (SPS) are usually implemented to increase the quality of products, the production procedure or environmental and animal health in the importing countries. Based on a gravity framework controlling for multilateral resistance over the period 1998-2014, it is shown that compliance with these measures reduces the negative impact of commoditisation on their terms of trade.